Provide comfort for the family of Jean Cain with a meaningful gesture of sympathy. CAIN, Jean Marie (nee Smith): Born in Sandford, Ontario on April 8, 1920. Jean passed away peacefully at Arbour Trails, Guelph, on March 4, 2019. Beloved wife of the late Stanley Cain (1986). Loving mother of Brian (Cheryl), Dianne (Richard Westgarth), and Darrell (Sharen). Dear grandmother of Christa (Monty Wassilyn), Carly (Tom Hillson), Caitlin, Jennifer, Shannon (Dan McDonald), Lauren, Melissa; and great-grandmother of Tristan, Aidan, Rowan, Marley, Sadie, Edison, and Brody. Dear sister of Murray Smith, Kay Hamilton, Melvin Smith, Auldeen Oldham, Mary Acton, and Gordon Smith. She is survived by her sister in-laws, Isobel Smith, Mary Smith, Lorna Cain, Audrey Cain, and brother in-law Don Cain. 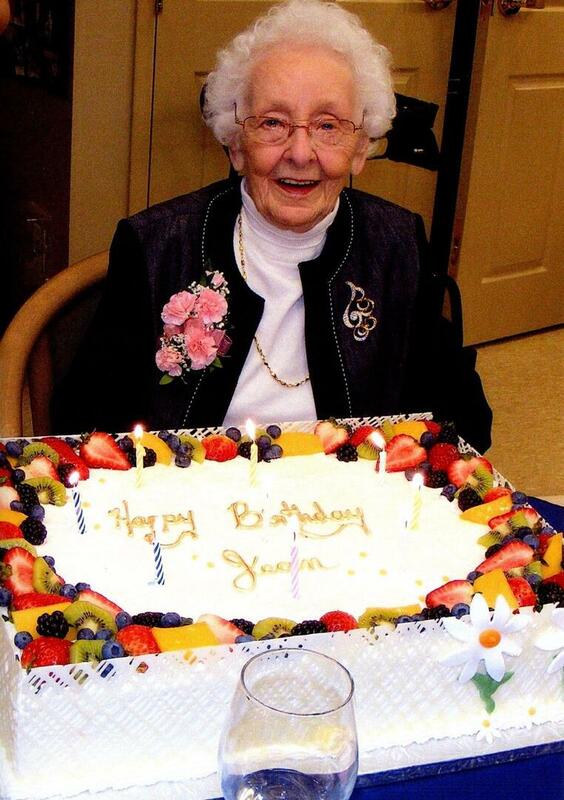 A celebration of Jean’s life will take place in Uxbridge in the spring, with spring interment in Sandford, ON. As expressions of sympathy, donations to Uxbridge Cottage Hospital or a charity of one’s choice would be appreciated by the family. Cards available at Gilbert MacIntyre and Son, Hart Chapel, 1099 Gordon St., Guelph, 519-821-5077, or condolences at www.gilbertmacintyreandson.com. Provide comfort for the family of Jean Marie Cain (Smith) by sending flowers.